We are proud to celebrate a significant milestone at the Home; 1,000 cats and kittens desexed in MADI! This achievement would not have been possible without the support of dedicated animal lovers, including you. 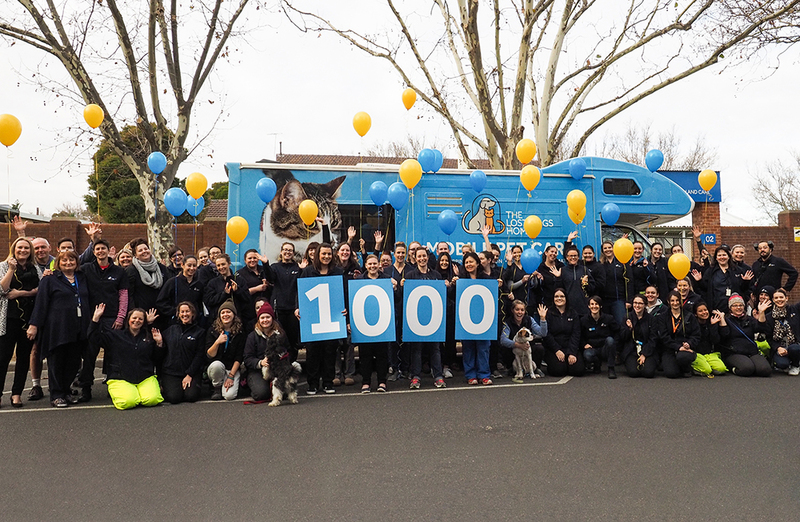 Since its launch in March last year, our mobile pet care unit, MADI, has helped change the lives of pet cats and kittens across Melbourne. Desexing is essential for the well-being of our pets, but the cost of surgery simply isn’t within reach for every family. This doesn’t mean they love their pets any less. MADI makes it possible for us to get out into the community and reach these pets, and offer low-cost desexing to those who need it most. MADI visited 12 suburbs and towns, including Werribee, Laverton, Altona, Craigieburn, Broadmeadows, Sunbury, North Melbourne, Reservoir, Richmond, Doveton, Cranbourne and Echuca. 6 council partners have supported mobile deseing events in their communities, including Wyndham City Council, Hume City Council, City of Darebin, City of Casey, Hobsons Bay City Council and Yarra City Council, along with 1 rescue partner, Maneki Neko Cat Rescue. Whether you have donated to keep MADI on the road, partnered with the Home to hold a mobile desexing event, had your pet desexed in MADI, or shared our social media posts to help spread the word, you have helped make this possible. If you’d like to make a difference, please donate today to help keep MADI on the road. Together, we can continue to improve the well-being of cats and kittens all over Melbourne, one suburb at a time.